Sailing on what is basically a tiny apartment is always a test of human relationships. Add in family and or friends and there are always bound to be, at least, annoyances or, at most, downright hostility. But sailing is all about enjoying the moment and sharing it with those you love. So this issue of CH, as always, includes some great tips and lessons learned from those that have gone before. From lessons on how to set up your yacht to be a home away from home; to how to set the rules before your guests even arrive; to how to adapt your sailing lifestyle when suddenly your partnership welcomes babies into the mix. As this is February and an odd numbered year, it must be time for Hobart's MyState Wooden Boat Festival, so we have some great wooden boat articles to read along with a lot of useful information if you intend to make your way down for the show. I will be there so feel free to stop me and let's have a chat. An added bonus this month is a look at two of the most iconic canal trips you can do: the Corinth in Greece and the mighty Suez in Africa. I have done neither and these two articles make it even more interesting to tick off the list. Another first for the editor this month is the review of the Beneteau First Line OCeanis 46.1. It is the reintroduction of the First range to Beneteau and it was a delight to take this cruising boat with a racing heart out for a spin. Very pleased with the front cover shot! Don't forget our Lion Protect competition for some funny phrases. We are getting some intelligent interpretations from our astute readers. 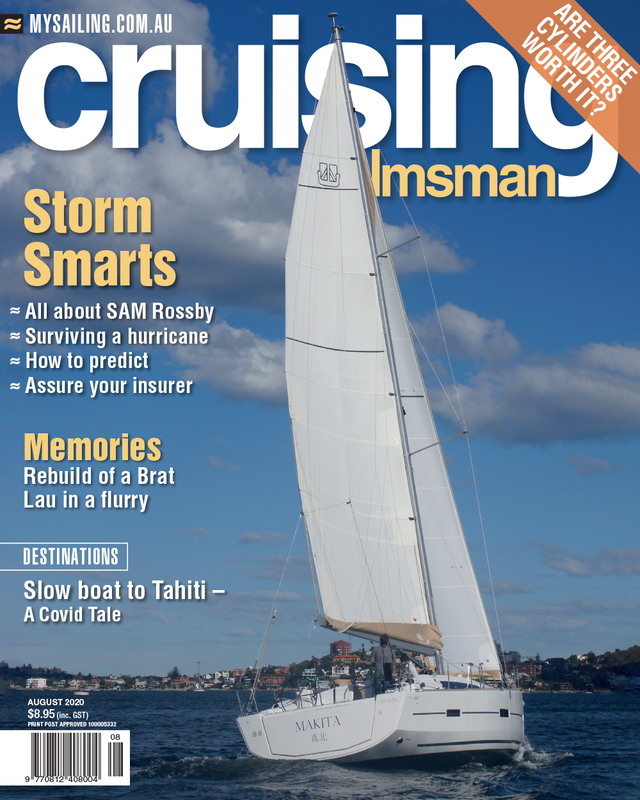 As always there is much more in each issue of Cruising Helmsman. Get it today.